Don’t pick up the phone and call the first Open House you see. Not only could it be unsafe, but the house you’re viewing might not be what you’re looking for. Instead of trial and error, hire a realtor. Tell them exactly what’s on your wishlist. They’ll set up all your viewing appointments, so you don’t have to worry about a thing. This way, you’ll be looking only at houses that match your criteria, and you won’t be wasting your time. The realtor also gets paid by the seller when you take the home, which means you don’t have to pay them directly. Save the trash talk for after the viewing but be sure to voice your opinion. Don’t be afraid to tell your realtor how you feel. You won’t offend them if you don’t like a certain house. It’s their job to find you the perfect dwelling. If you don’t like something, let them know so you don’t end up seeing more of the same. House hunting is a long, tedious process. It’s not something you want to breeze through. If you can, avoid scheduling any activities for two hours after a showing. You don’t want to feel rushed into anything. Take your time and be thorough. Don’t be afraid to get in there and open cupboards, cabinets, drawers, and closets. Get familiar with the place. You’re not snooping, don’t worry. You’re there to gather information, but you can’t do that without taking a look. want to place an offer immediately. This will add even more time to your stay. Make a day of it and take your time. A mortgage pre-approval confirms the amount you qualify to borrow and protects you from rate increases for up to 120 days. Mortgage pre-approvals from your bank aren’t a guarantee. Talk to an experienced broker instead. At MortgagesMadeEasy.com, mortgages are all we do. It’s what we’re good at. Take a look at our Guide to Easy Mortgage Approval to get an idea of the paperwork you need for your mortgage pre-approval. When you’re ready to apply for your mortgage pre-approval, use our secure online form. We’ll get back to you on the same day with the best mortgage in the market for your situation. Questions? Let’s talk. We can walk you through the process and explain everything you need to know to buy your dream home. Call us at 613-563-3447 or use our contact form. We often associate mortgages with banks. Many of our parents got their mortgage from a bank and their parents also got their mortgage from a bank. But are banks the only place to shop for a mortgage? Nope. Enter the mortgage broker. Mortgage brokers are licensed specialists who work for you. They help home buyers choose the best mortgage option from a variety of lenders. This is one of the key differences between a big bank and a mortgage broker: variety. While banks can only offer you their in-house mortgage products, a mortgage broker has access to multiple lenders. 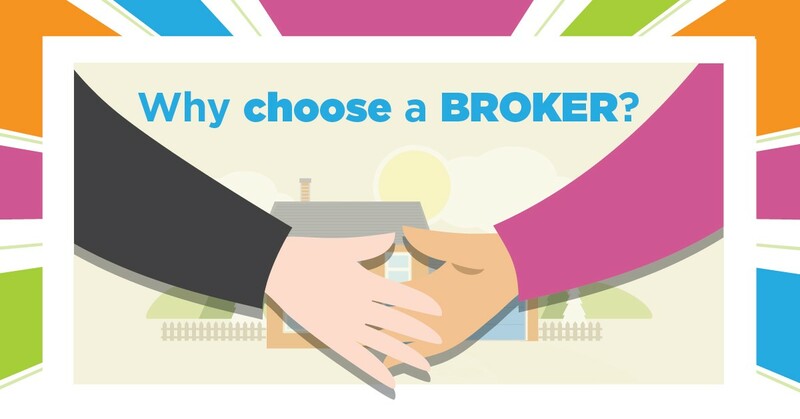 With more options to choose from, a mortgage broker is able to find you the best rate on the market. What might look like a small difference­–a few tenths of a percent­­– can mean thousands of extra dollars in your pocket for things like renovations, furniture, and travel. With a mortgage broker, you can be confident that you’re getting the best market rate, without having to go from bank to bank. When shopping for a mortgage at a bank, the onus is on you to do the negotiating. For many of us, this can be challenging. A mortgage broker, however, does the negotiating for you. Unless you know how to negotiate and you’re familiar with market rates, a mortgage broker will be able to get you a better rate. Banks look out for themselves. We look out for you. You don’t pay for a broker’s service; we receive commission from the lending institution, which means our focus is finding you the best mortgage option. Financial advisors deal with many products: credit cards, lines of credit, investments, insurance, the list goes on and on. Mortgage brokers, however, only deal with one thing: mortgages. Because we only deal with one product, we understand that product very well. We can provide you with expert advice, guidance, and suggestions. With a mortgage broker, you have the comfort of having a mortgage expert on your side, helping you find you the best rates and options. Find out how you can get the best mortgage. Book a free consultation and we’ll help you get one step closer to your dream home. You’re standing at a crossroads in your life. 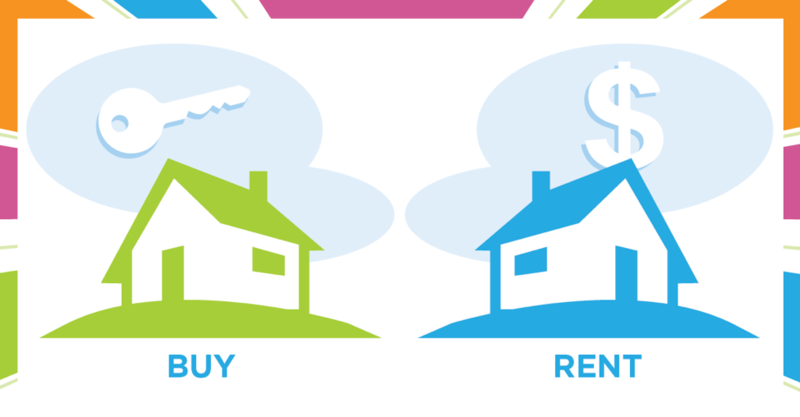 Should you rent, or should you buy? It’s a big decision, with a lot of factors to consider. You ask around and quickly find different opinions. A relative suggests buying, a friend at work suggests renting, and Google is suggesting 16 million search results. When it comes to buying vs. renting, there are many factors you need to consider before making a decision. Ultimately it comes down to your situation, goals, and budgeting considerations. While there are great reasons to buy a home, there are also great reasons to rent. Because your personal situation is, personal, we’ve outlined three questions you should ask yourself to help you make the decision. How long do you plan to live in the same place? Do you see yourself living here for at least 5–7 years? If not, it makes sense to rent. For young professionals who need mobility to pursue professional opportunities, you will benefit from the flexibility of renting and the added savings of avoiding closing costs. Typical closing costs include legal fees, commissions, inspections, and appraisals. 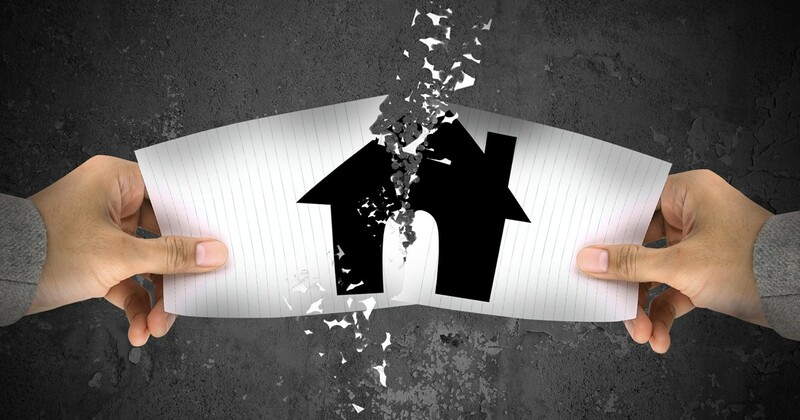 If you’re selling after a couple of years, it is unlikely that you will recoup your closing costs. If you’re settled and value stability, then owning a home will be a better option for you. How do you want to build equity? There are many different ways to build equity. You can invest into the real estate market or you can invest into the equities market. For many people, homeownership acts as an enforced savings plan. With every monthly mortgage payment, a homeowner builds wealth through equity appreciation. It’s a long-term strategy. And it’s certainly better than no strategy. While renting can be more affordable and more money could be made investing into other equities, the question you have to ask yourself is: do you have the discipline to create and implement an alternative investment strategy? If you have the discipline and initiative­– great! If not, home ownership­ is a sound long-term investment. If you have very little savings or a lot of debt, then home ownership might be out of the picture for now. But if you have some savings, access to a modest sum for a down payment or both, and you’re confident you’ll be staying in your new home for more than five years, then we think homeownership is for you. Let’s say you want to buy a home. You value stability and you see yourself living in the same place for more than five years. You’ve even started to save money for a down payment­– awesome! So, what’s the next step? Shopping for a mortgage. At MortgagesMadeEasy.com, we help you get ready to buy your first home. Our brokers are here to show you the best mortgage options. While a typical bank only gives you their rates, we have access to several mortgage options from multiple lenders­­. Many of our clients are first-time home buyers, so we understand that you have lots of questions and we’re excited to help! Let us walk you through the process and explain what kind of documentation you will need to get approved for your mortgage. Call us at 613-563-3447 or use our contact form. Refinancing your mortgage? Prepare for your home appraisal to get the best value for your home. Right click our appraisal checklist to save and print it. Save yourself time and hassles when you go to close a home by having your paperwork ready! Right click our document checklist below to save and print it. Documents you need depend on your personal circumstances. For a complete list of what you need to be approved for your mortgage, fill out our contact form or call 613-563-3447. Be prepared for the associated costs of closing a home. Right click our budgeting checklist below to save and print it. Exact costs will depend on your personal circumstances. For a complete list of costs and what you need to qualify for a mortgage, fill out our contact form or call 613-563-3447. When you’re in the final stages of closing on your new house, you have a million things on your mind. You might be thinking about what paint colours to buy, what furniture you need, or even what you plan to do with the backyard. The last thing you might be thinking about is checking your mortgage rate. That was finalized awhile ago anyway. Right? As a homebuyer of a new-build home, you likely had to apply for mortgage pre-approal to confirm to your builder that you have the funds to pay for the home. But remember: A pre-approval is just a rate-hold—not a binding approval. We recommend you get your rate checked at least 90 days before closing on your new build home. You may be able to get a better deal! Rates may have gone down, or new borrowing options (with lower rates or better terms and conditions) may be available. At MortgagesMadeEasy.com, we compare mortgage deals from 30+ lenders and negotiate the best deals for your situation. If you want your deal compared, or have mortgage questions, apply online or contact us today. Can’t qualify for a bank mortgage? Apply with us! It may seem like it’s becoming more difficult to buy your dream house. Changes to mortgage rules and regulations, high real estate prices, and low inventory have made Ottawa’s real estate market extremely competitive. We’ve seen properties go on and off the market in four days. Don’t be discouraged, though: At MortgagesMadeEasy.com, we can help you be ready to make an offer on a great home within your price range! If you go to your bank to start the mortgage process, your banker will tell you the first step is to get “pre-approved.” But what they may not tell you is that a pre-approval is just a rate-hold—not a binding approval. Your pre-approval protects you from rate increases for up to 120 days and confirms the amount you qualify to borrow based on your proven income (line 150 on your tax return) but does not guarantee the lender will loan you that amount! If you take steps to buy a home based on a pre-approval from your bank, but then are later rejected for your mortgage, you could be put in a situation where you are owing a large sum of money on a tight deadline. When that happens, your banker won’t be able to do much to help you. But MortgagesMadeEasy.com can. At MortgagesMadeEasy.com, we won’t waste your time with pre-approvals that don’t pan out. We have close connections with more than 30 lenders, including the big banks. We know what information and documents they look for. We’ll ask you the tough questions about your income upfront because it is our goal to make sure the amount you are pre-approved for is the same amount you are loaned. This will help you close the deal on your home fast, without any hassles or surprises. Since 1989 we’ve been helping all types of clients get a mortgage. If you don’t qualify for a traditional mortgage with your bank, we have options for you, including our own in-house fund for private lending. Even if you do qualify for a bank mortgage, give us a call, because we’ll beat your bank’s offer. Let us see what we can do for you. Call us at 613-563-3447 or use our contact form. Anyone who is considering purchasing a home should get pre-approved for their mortgage. A mortgage pre-approval confirms the amount you qualify to borrow and protects you from rate increases for up to 120 days. If you’re considering going to your bank to get pre-approved, rather than using a broker, you should know that there are important details your banker may not tell you up front. A few weeks ago, a couple came to us because the mortgage amount they were pre-approved for by their bank was not the same amount they were actually loaned. They went to buy a home under the impression they would be loaned the amount they were pre-approved for, and when they weren’t, they were stuck owing a large sum of money on a tight deadline. In this case, we had to secure the client a private mortgage, which is an interest-only loan, to pay for the remainder of their home. It’s important for homebuyers to remember that a mortgage pre-approval confirms your rate and the amount you qualify for but does not guarantee the lender will loan you that amount. Mortgage approval will depend on your documentation and proof of income. When you file for a pre-approval with your bank, your banker will ask you to state your income, and then they take that information at face-value. What they may not tell you is that lenders have to look at your proven income (line 150 on your tax return) to approve your mortgage. At MortgagesMadeEasy.com, your mortgage pre-approval is treated the same way as if you were purchasing a home. We ask the tough questions up front about your income and documentation so the amount you are pre-approved for is the same amount you are loaned. This will save you from embarrassment, stress, and legal issues when you go to pay for your home. Unlike your banker, mortgages are all we do. We are not trying to sell you a specific mortgage product. Our brokers are here to show you all the best mortgage options you qualify for, and explain the fine print, so you can make smart decisions. We want your mortgage to go as smoothly as possible. Let us walk you through the process and explain what kind of documentation you will need to get approved for your mortgage. Call us at 613-563-3447 or use our contact form. And when you are ready to apply for your mortgage pre-approval, use our secure online form. We’ll get back to you within hours with the best mortgage in the market for your unique situation. Before buying a home, you would explore all your options. Your mortgage should be no different. If you only mortgage shop with one or two major banks, you may miss your opportunity to find a better mortgage with better rates, terms and options. When you apply for your mortgage through MortgagesMadeEasy.com, you gain access to several mortgage options from multiple lenders—not just the big banks. You also get insider access to our lenders' limited time offers and unpublished promotions. These unlisted, quick closing specials can help you save money upfront and over the course of your mortgage. Whether you're qualifying for your first home, renewing your mortgage, or taking out equity, our experienced brokers can help you make the most informed decision and get the best mortgage for your situation. We connect you to the best deals and give you the information you need to feel comfortable and confident with your mortgage decision. Just starting your search? The rates on MortgagesMadeEasy.com are always up-to-date. But no matter where you are in the process, call us, apply online, or book a free consultation to get your questions answered and learn about quick closing specials. Because the more you know, the more you can save, and the closer you get to making your dreams come true. If you’re considering hiring a contractor to a build a new home—or want to purchase a completed new home—the first step is to get pre-approved for your mortgage. 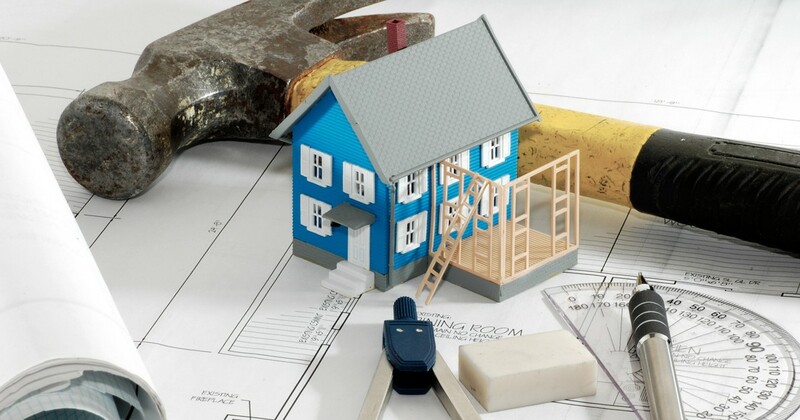 A pre-approval confirms to the builder that you qualify for funds to pay for the home. It also confirms your price range, so you can shop for homes without any unexpected surprises. 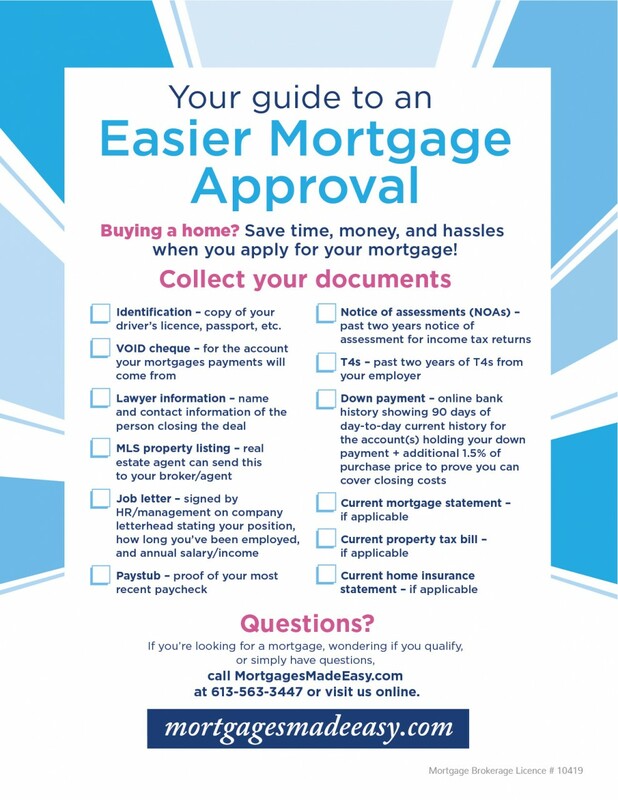 At MortgagesMadeEasy.com, we make it easy to get pre-approved for your mortgage. You can apply with us online or book a free consultation and we will tell you everything you need to make the process go as smooth as possible. For example, we will tell you upfront if we see any issues that may prevent you from getting pre-approved for your mortgage. We will also let you know what documentation you will need once you have a firm offer in place. When you get pre-approved for your mortgage, you are under no obligation to accept the offer, but it will be there if you need it. We have lenders who will hold your new-build mortgage offer for up to 6–12 months. If rates go up during that time period, your rate will not be affected—and if rates go down, we will get you the lower rate. We want to make your mortgage experience stress-free! Have questions? Wondering what kind of documentation you will need before putting down a deposit? 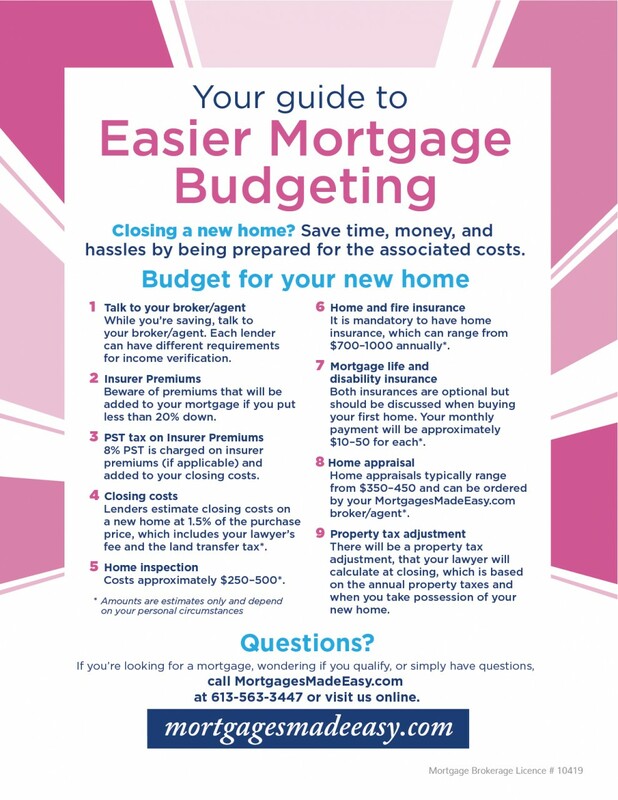 Call a MortgagesMadeEasy.com broker at 613-563-3447 or use our contact form. Under Canada’s new ‘stress test’ mortgage rules (implemented January 1st, 2018), many homebuyers may no longer qualify for a traditional mortgage. Fortunately, with the help of MortgagesMadeEasy.com, you still have options to help you get the property of your dreams, through alternative lenders or a private mortgage. Compared to more conventional mortgage types, private mortgages are a unique financing option for the thousands of mortgage applications that do not fall within the banks’ parameters. Private mortgages are typically short-term (1–3 years), interest-only loans, secured through an individual investor or institution—instead of through a bank or chartered financial institution. This means you get fast financing, skipping the red tape and lengthy approval process of big banks. More importantly, private mortgage approval is based on the property’s value, not on your credit score or income. That makes private mortgages a viable option for people with a below average credit rating, little down payment, or those who can’t provide traditional proof of income. Why use a private mortgage? You’re looking to buy an unconventional property such as a farm, garage, or multi-unit commercial property. You can’t wait for the banks’ approval process and need fast financing. You are looking to take out a second mortgage. You prefer a short-term loan. You are looking to resell or build. If you were turned down by the banks for any of the above-mentioned reasons, a private mortgage may be the answer. Your MortgagesMadeEasy.com broker can help you decide if a private mortgage is right for you and your situation. Moreover, you’ll save time and hassle searching elsewhere for a private lender with access to our large, ‘in-house’, private mortgage fund. 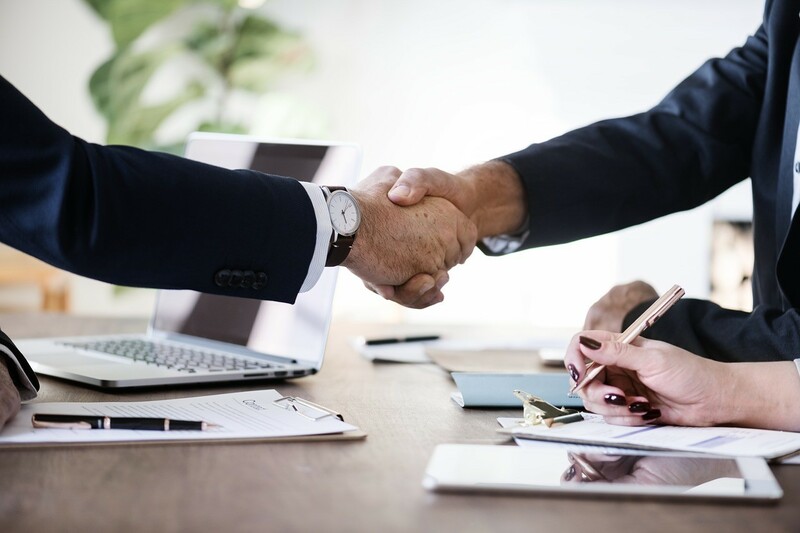 Our team of experts connects you to the best lenders, lowest rates, and quick approvals. Worried about qualifying under the new mortgage rules? You can rest easy knowing we are available to answer all your questions, and can quickly get quotes for your deal with our ‘in-house’ fund. If you have questions about private mortgages, the new rules, or want to discuss your options, contact your MortgagesMadeEasy.com broker today. Call 613-563-3447 or use our contact form. As of January 1st, 2018, passing a “stress test” will be a requirement for all insured and uninsured mortgages. Previously, only insured borrowers (those with less than 20% as a down payment) had to undergo the stress test. The stress test is designed to simulate a borrower’s financial situation if they had to pay back their loan at the posted average rate. To pass the stress test, homebuyers will now have to qualify on the greater of the Bank of Canada benchmark rate (currently 4.89%) or their actual rate +2.00%. For those with variable-rate mortgages, the Bank of Canada recently announced that their prime interest rate will stay the same, so the majority of lenders’ prime rate is 3.20%. For some homebuyers, these new mortgage rules could mean they no longer qualify for a mortgage, or do not qualify to buy the home they really want. It’s important for homebuyers to lock down their mortgage now—before the rules change—to ensure they get a great deal on their dream home. If you’re thinking about buying a home, don’t wait until the new year to apply for your mortgage. Apply for a pre-approved mortgage with us before December 15th, 2017. Our lender will give you a quote under the current rules (on approved credit), and hold your deal until April 1st, 2018. 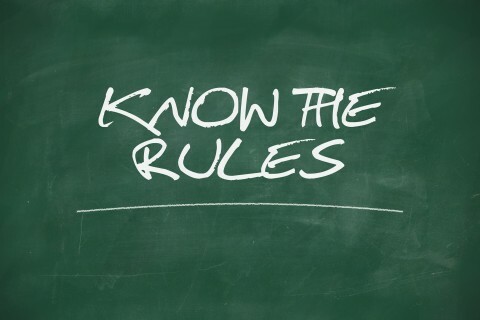 Those who apply for a pre-approved mortgage are under no obligation to accept the lender’s offer. Have questions? Wondering how Canada’s new mortgage rules will impact you? 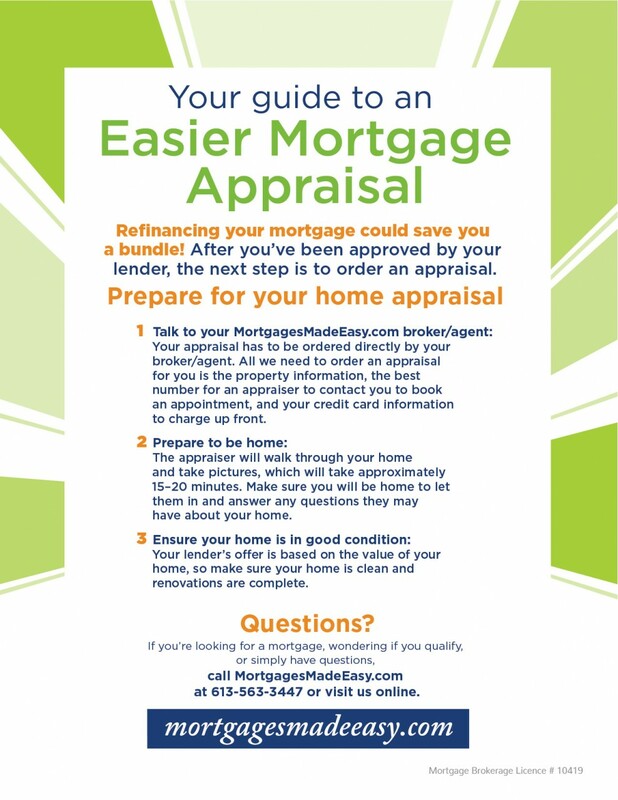 Call a MortgagesMadeEasy.com broker at 613-563-3447 or use our contact form. Every mortgage shopper wants the lowest mortgage rate possible, but be careful; sometimes a low rate comes with unrealistic terms and conditions, or potential future penalties and fees that could nullify your initial savings. I recently read in the news about a Toronto man who had to shell out $13,000 in fees for breaking his mortgage contract early. Nadim Kara didn’t know homeowners with a fixed term longer than five years can only be charged a penalty of three months’ interest if they break their mortgage after the fifth year. If Nadim had waited 60 more days to break his contract, he would have paid $3000 in fees rather than $13,000. This pertinent information was not in his contract, or explained to him until after the fact. This story is an example of why having an experienced mortgage broker on your side is so important. Brokers take a forensic approach to examining the details of your mortgage contract to ensure you are protected, and that includes checking that the contract isn’t missing any information. Mortgage contracts must disclose all information on penalties for ending a mortgage early and how they will be calculated. Our brokers have been around the block a few times and won’t let mistakes fall through the cracks. 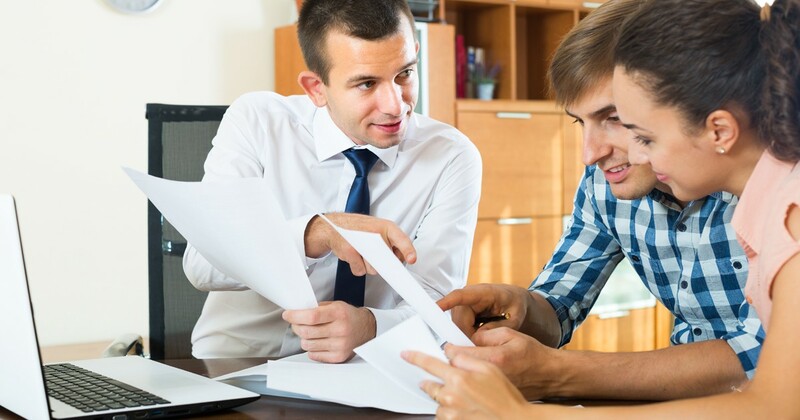 Many homebuyers can be overwhelmed by the technical language in mortgage contracts and may not pay close enough attention to the details before signing the dotted line. Our brokers are here to answer your questions and explain the fine print, so you don’t have to worry about overpaying on your mortgage, or being taken advantage of later. We’ve been helping our clients navigate the mortgage industry since 1989. Give us a call at 613-563-3447 and let us take the confusion out of planning your mortgage. Is a CHIP Reverse Mortgage Right For You? If you are a homeowner, 55 or older, and considering selling your home or downsizing, you should know there are other options available. One such option is a CHIP Reverse Mortgage. A reverse mortgage is a home loan that gives owners access to their home equity and turns it into tax-free money for you to spend as you wish. Instead of selling or downsizing to save money for your future, you can keep the home you love. 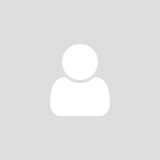 How does a reverse mortgage benefit me? A reverse mortgage allows you to receive up to 55% of the value of your home (depending on your age, type of home and location). The money from a reverse mortgage can supplement monthly income and help you enjoy your retirement or cover expenses, without dipping into your savings. With a reverse mortgage, you can avoid taking out a line of credit. Any outstanding loans will be paid out by the proceeds from your reverse mortgage. Also, as long as you live in your home, you won’t have any regular mortgage payments. You retain ownership and control of the house and will never be asked to leave or sell (as long as you pay taxes, insurance and maintain the property). Finally, once the CHIP Reverse Mortgage is repaid, you keep the remaining equity on your home. On average, the amount left over is 50% of its value when sold. Call one of our mortgage brokers today to find out if a CHIP Reverse Mortgage is right for you. The rules have changed, so you better have your credit story straight. 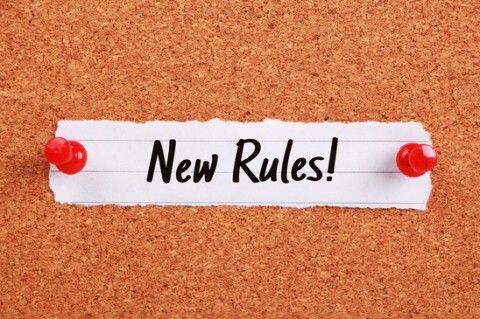 The recent mortgage rule changes in Canada have been all over the news. In short, it’s tougher to get a mortgage today than it was just a few weeks ago. That doesn’t mean you can’t get a mortgage, but it does mean that you need to be really well prepared before you go shopping. When the rules tighten up, presenting yourself in your very best light can go a long way to increasing your options. One brilliant way to make a great impression on a lender is to have your credit story in order. One thing that becomes an Achilles heel for a lot of borrowers is their credit score – and that even holds true for borrowers with really high incomes. You would be amazed how much weight your credit score carries. So, before you go for pre-approval, here are some sure-fire steps you can take to put the odds in your favour. Find out where you stand, not where you hope you stand. Your credit report can be had for free. It’s the same report that lenders will reference when they assess your credit-worthiness as far as them lending you their money. Good, bad or ugly, your journey starts with a review of your credit score, because the truth will set you free. The last thing you want is to be turned down over a bad report or even an error in your report. You’d be surprised how few times people actually go into their report and clear out long out of date information that could be hurting their credit rating. The more accurate the report, the faster you’ll know where you stand. This is hugely important to your credit health. Pay your bills on time. By on time, I mean in time for the payment to be received and processed before the due date so that your payment is registered on time, not submitted on the day it is due. And if you can’t pay the full bill, pay your minimum balance. If you do, you’ll be rewarded in your credit report. And if you’re in a short-term jam and can’t make ends meet one month, call your creditor immediately, in advance of the payment due date and explain the situation. Great communication with your creditor can also prevent a late payment form being reported to the credit bureau and repayment reliability is the single biggest influencer on your credit score. 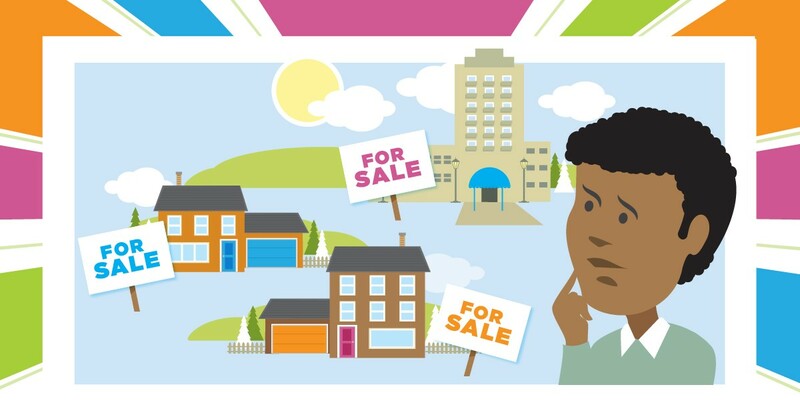 Are you a first time buyer? Build your credit score now. New buyers often think that they stand a better chance at getting a mortgage if they don’t have credit cards of a history of debt. Sorry, but that’s not true. When you don’t have any credit record, lenders can get leery. Lenders actually love seeing a healthy record of borrowing and repaying on time, as per agreement. It tells them that you have experience and you can handle the obligations that come with borrowing money. Being able to own and manage a credit card and also stay within your limit gives you a green light with lenders. Of course, there are essential strategies that need to be employed, and simply running a credit card to the limit then only making months of the minimum payment won’t actually be great for your score. Remember, whether it’s a credit card bill, or your Internet and cable bill, paying them on time every time sets you up for mortgage success. Opening multiple credit cards at the same time as you plan to seek a mortgage can also send a bad signal to a lender. You might think being approved for several credit cards at once is a sign of credit worthiness, but a mortgage lender looks at it differently. The mortgage lender sees a red flag as they assume you need these to pay bills and make ends meet regularly. That’s an instant stress test when it comes to assessing your ability to repay your mortgage with a lot of high interest debt on your plate. Once again, having a couple of cards that you manage well is fine, having a wallet full of high interest debt, is not. We help our clients devise and execute many more credit strategies – all aimed at improving their ability to borrow for a mortgage at the best rate. One thing we always tell clients: now that you’re armed with credit IQ, make sure you occasionally check in on your credit report. It keeps you completely current on your most important asset when searching for a mortgage (or anything else of high net worth): your credit worthiness. Ok, so I’ve just shared some sound advice about how to give you a better mortgage experience by building credit score. But we’ve got plenty more ideas and strategies available, if you really want to supercharge your credit story. Trouble is – and stats will bear me out on this one – most of us need help to understand our situation and what the best way to improve it is. We’ve been helping clients secure mortgages and get their credit house in order for more that 30 years, and we can help you. It costs nothing to get our opinion and our quick form is effortless and completely confidential. The rules have changed and more than ever, today someone should be looking out for your interests. We’re happy to take on that challenge. Canada’s new mortgage rules: who’s looking out for your interests now? Recently, the CEO of the Canadian Mortgage and Housing Corporation stated they would issue a “red level” warning for the Canadian housing market. What does it mean for you as you prepare to get a mortgage? Well, like most things, there is more than one theory about the warning, who it might effect and how. Some economists, knowing the economy is moving forward and a housing slowdown is already in the works, feel that this warning may really be about slowing down Vancouver’s out-of-control property run and influencing federal policy around housing. In our opinion, the warning won’t have much impact on buyers, but once again, the new mortgage rules (and coming rule changes) will definitely impact buyers in regards to the new “repayment stress tests” that borrowers will be facing for new mortgages. This could significantly impact first time buyers in the market. In simple terms, if you are a new buyer with less than 20% down payment, you’ll most likely be approved for less home ownership. Of course, there are still many excellent options out there, as long as you know how to access them - even for first time buyers. If you’re trying to get yourself approved for a new mortgage under the new rules, there may never be a more profitable or more valuable time to put a great mortgage broker to work on finding you the best solution out there. Think about it: Ottawa Carleton Mortgages currently works directly with more than 20 quality lenders, including banks as well as some of the leading “non-big-bank” mortgage lenders in Canada. Nothing works better for you than having lenders compete for your business. Add in the unimpeachable guidance of a 30+ year proven track record and there is simply no way you can get yourself the same options and advantages on your own. The government and the big banks are not motivated to help you succeed in your mortgage quest, but we are, and I guarantee it. Put us to the test today and see just how much mortgage you can actually get for yourself. It’s your money, so make them work for it. We’ll help you do that. Canada’s new mortgage rules came into effect this week. The bottom line is that they make it more difficult for anyone seeking a new mortgage, trying to buy a rental property, looking to transfer a mortgage or seeking to renew an existing mortgage. As the Globe and Mail (and countless other Canadian news outlets) have recently reported, the ratio of Canadian household debt to disposable income has hit a new record high. 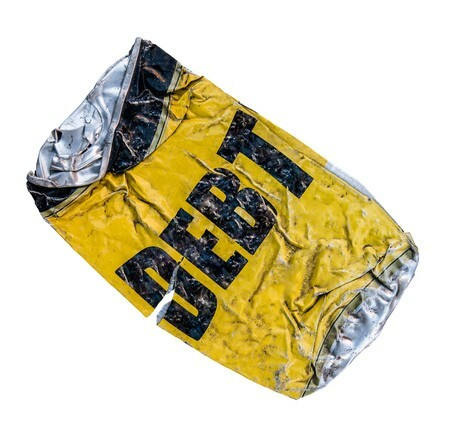 Statistics Canada says that, on average, households hold $1.65 in debt for every dollar of disposable income. As is always the case, a lot of that new debt comes in the form of mortgages, but consumer credit is also at an all time high. So what now? Well, if your mortgage rate is greater than 3% or if you’re looking to manage high interest credit debt at much lower rates, this just might be the best time in our history to refinance. Mortgages are at record-lows today, but if you’re paying into a 5-year fixed rate mortgage and still have a few years left on the mortgage, you might not be feeling so great. You might want to explore the possibilities of a new mortgage, because it could save you a bundle – especially if you have enough equity to let you eliminate some high interest personal debt you might be carrying. Of course, every situation is unique so do your research. 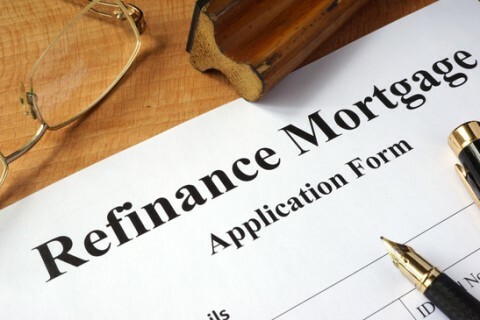 Before you refinance you’ll need to be sure that the savings you’ll gain will trump any penalties connected with breaking an existing mortgage. A good mortgage broker can easily give you the answers you seek. Housing prices continue to rise everywhere, so you may have more equity in your home than you think you do. That’s important because it can change your ratios, and give you more borrowing power, which opens up all kinds of new opportunities. Just imagine repackaging high interest debt or paying off a credit line or starting that major renovation or taking that trip you’ve always dreamed of. If you find yourself house rich and cash poor, borrowing money at today’s incredibly low interest rates could change your world. I touched on it above, but if you find yourself fighting off high interest debtors, debt consolidation can solve your personal debt situation while letting you keep your home. When you roll your existing debt into a single low interest loan, your life greatly improves. Knocking your high credit score down to low single digit interest rates means your new mortgage pays off your existing debts and you get a clean start. And once again, you get to keep your home. The simple truth is that if you have a closed mortgage, you’ll have to pay a penalty to escape your existing deal with your bank. If you have a variable rate mortgage, the formula is simple: It will cost you three months’ interest on the existing mortgage. If your current mortgage rate is fixed, you’ll have either pay three months’ interest or something called the Interest Rate Differential (IRD); whichever is higher. Interest Rate Differential can be scary in some instances, so make certain you and your mortgage broker do the real math for your current mortgage to make certain that refinancing makes sense in your situation. What’s the point if it’s going to cost you money instead of saving you? It’s pretty clear: today could be a great day to refinance. Get started & give us a call. Paying off your mortgage early isn’t easy, but it’s certainly worth it. Of course, tightening up your spending belt is a core tactic for freeing yourself from mortgage debt, but it’s not the only way. There are other tricks that won’t cost you a dime but will save you a ton. Here’s some foolproof guidance.